Our own design mouse mad. 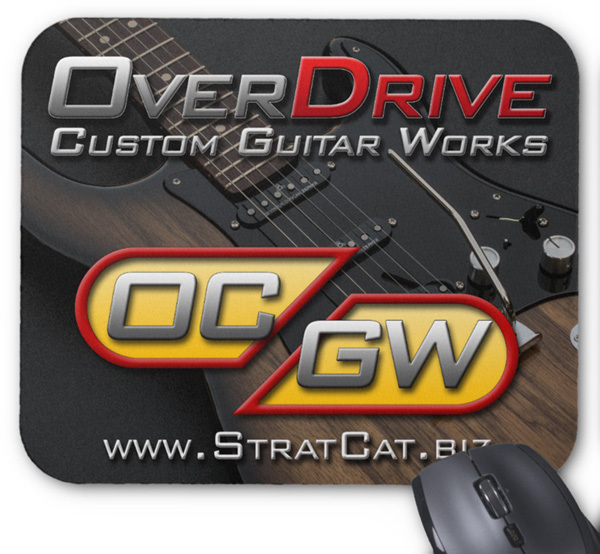 Includes our new logo and a pic of our custom built Zep Cat1 Strat®. Dimensions: 9-1/4" width x 7-3/4" height.